Christine is an avid fan of noodles. 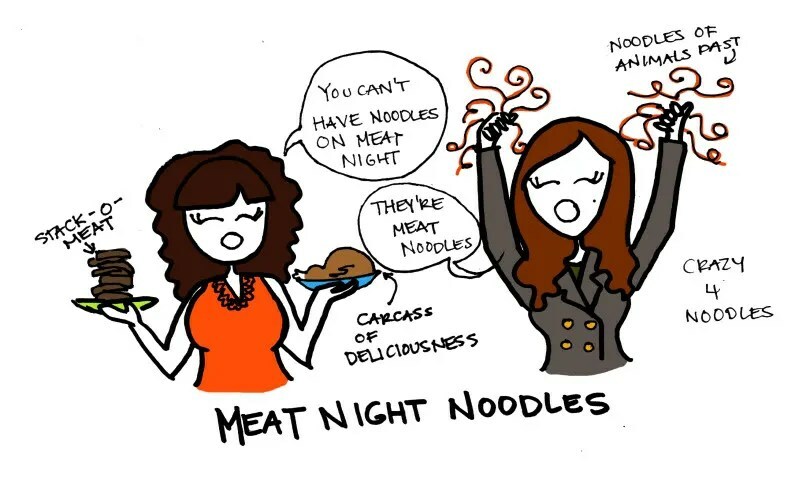 But how can you combine noodles with a night devoted to meat. There shall be no GLUTEN on meat night!!!!!!!!!!!! That is for Gluten Thursdays!